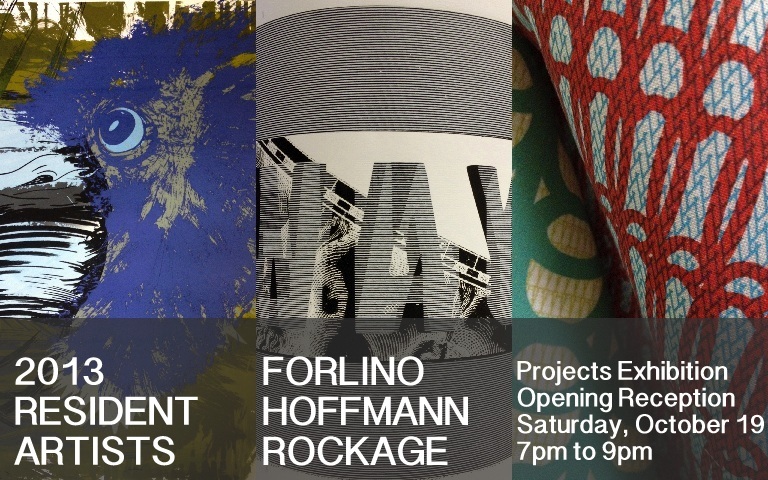 Each year, Artists Image Resource invites select artists to work in-residence at the print facility on Pittsburgh’s Northside. As they explore creative ideas and complete new work, Resident Artists have full access to the printmaking shops and equipment at AIR, and are provided with all materials and staff and volunteer assistance. Stefan Hoffmann is a Dutch artist who has been working with various vertical screen-printing techniques and capturing residual documents (printed objects and other materials) from his site specific works . Mr. Hoffmann works internationally and has recent projects in Canada, China, the United States and Europe. This year at Artists Image Resource, Hoffmann has organized an installation of "scrolls" that were created as part of an on-going wall printing project in the studio. Giovanni Forlino is an artist and painter working out of Brooklyn New York. During a project in Pittsburgh with the Andy Warhol Museum, Forlino visited Artsists Image Resource and we began a series of prints. The prints shown here are based on drawings of birds which Forlino was working on as part of the project with the Warhol Museum and the Carnegie Museum of Natural History. Jen Rockage is an artist and printmaker working out of Pittsburgh Pennsylvania. Rockage has been working with Artists Image Resource for several years and the work exhibited here is part of a larger investigation of text, pattern, fabric and installation. The works presented exist as short fabric print runs based on text as image. The patterns are repeated, modified and printed on various surfaces.